“House Divided: The Civil War Era and Dickinson College,” dedicated to the memory of Civil War historian Brian C. Pohanka (Class of 1977), is one of the most compelling sesquicentennial online projects I’ve come across. 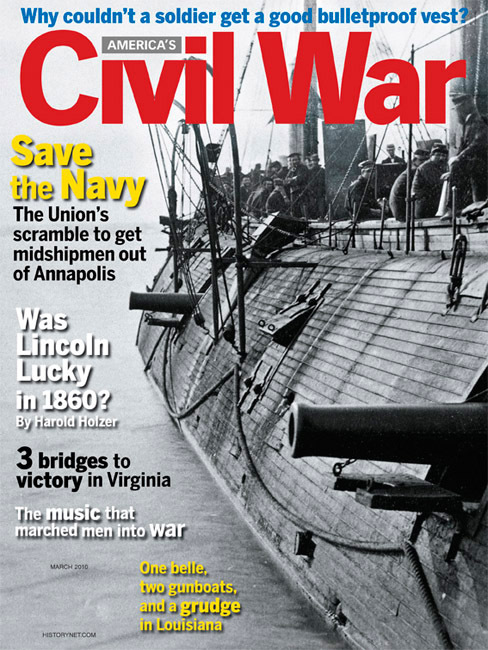 While the goal of the project – to create resources for teachers and students to bring the Civil War to life – is standard fare, it is the way Dickinson approaches its goal that is so special. The site leverages the college’s own rich 226-year history to provide a “window and a starting point” to investigate the war and the events that led up to it. With a student body comprised almost evenly of Southerners and Northerners before the war, Dickinson “itself was a House Divided and its graduates were deeply involved in the sectional crisis.” President James Buchanan, Abraham Lincoln’s predecessor, and Chief Justice Roger Brooke Taney, who wrote the majority opinion in the Dred Scott Decision of 1857, are but two of the many alumni whose letters, diaries and other documents have been digitized on the site. But the digital collection is not just limited to Dickinson alumni; it includes the histories of thousands of individuals, places and events that contributed to the war and its aftermath. The site’s main page is organized in a format titled the “Daily Report” that lists birthdays, events and documents that occurred 150 years before a specific date. The site will cover the period from 1840 to 1880.